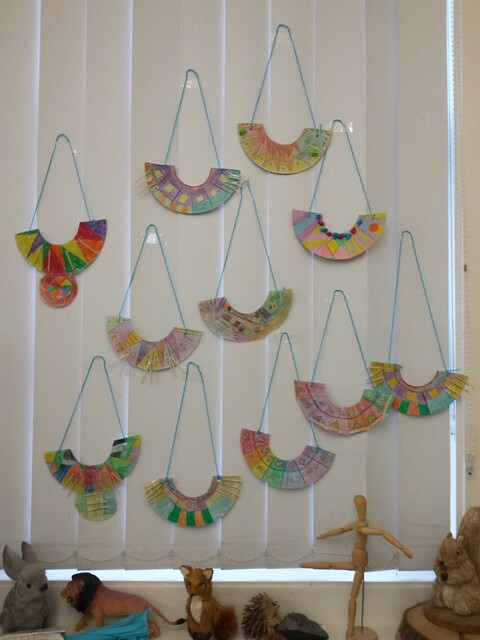 Pupils in second class explored the continent of Africa and went on to create these wonderful African neck pieces. 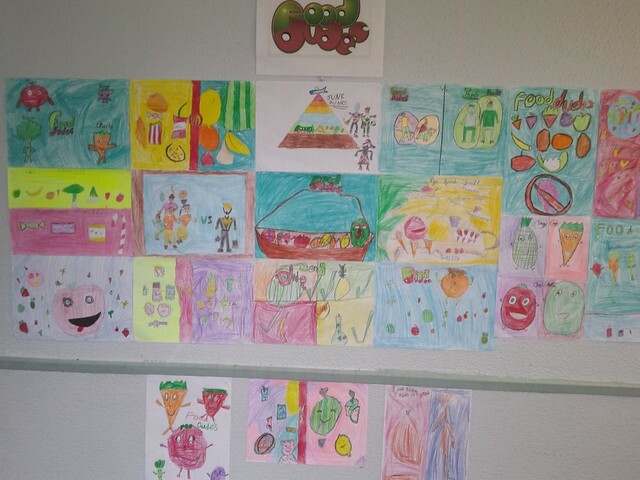 Pupils is second class were busy this week creating a wonderful art display to remind the school community about the Food Dudes Healthy Eating Programme which started in our school on February 28th. 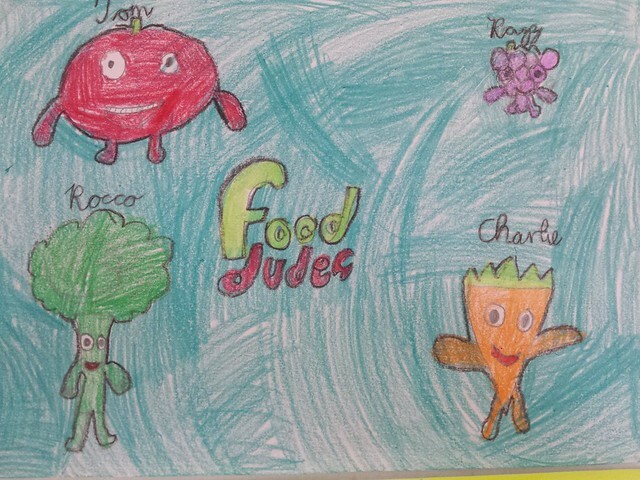 Here you can see the characters who make up the Food Dudes - Charlie, Rocco, Raz and Tom as well as samples of the healthy fruit and vegetables we are going to be sampling. 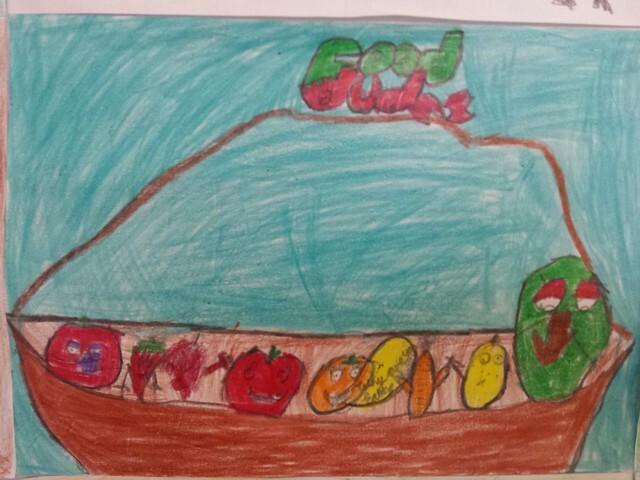 Pupils already enjoy a daily fruit break in class so the food dudes programme will reinforce this positive routine and make us all mindful of the importance of eating our five a day. 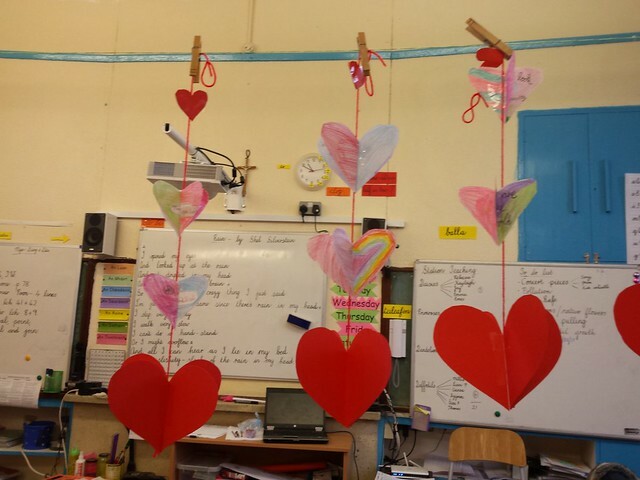 Pupils in second class were busy in February making these lovely heart mobiles for their loved ones. 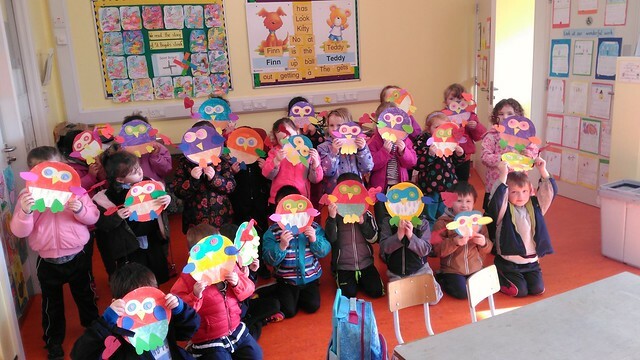 The Junior Infants were learning all about homes in our locality and homes and houses around the world. 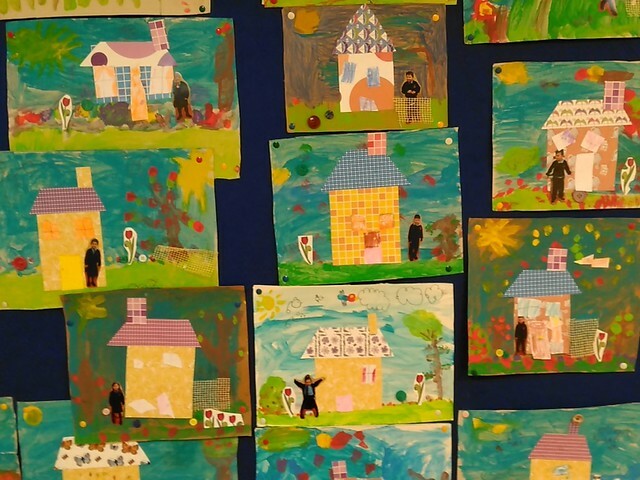 They made a beautiful picture using a variety of different materials. 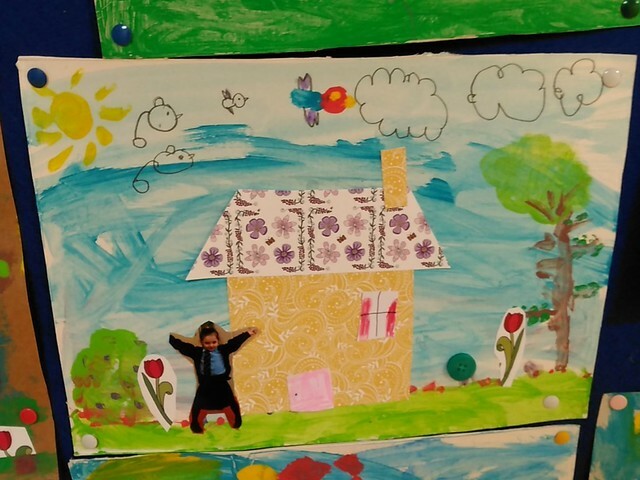 They painted a Spring garden themed background onto cardboard before using patterned paper, matchsticks, buttons and various other craft items to create their houses. They really enjoyed the process and were very proud of their work. 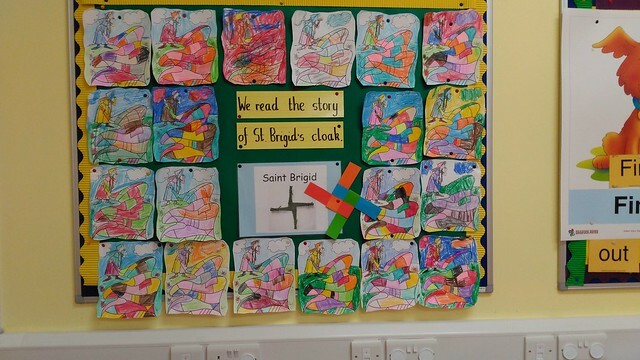 The children also celebrated St.Brigid's day by making paper crosses and by learning about and responding to the story of St.Brigid's cloak. 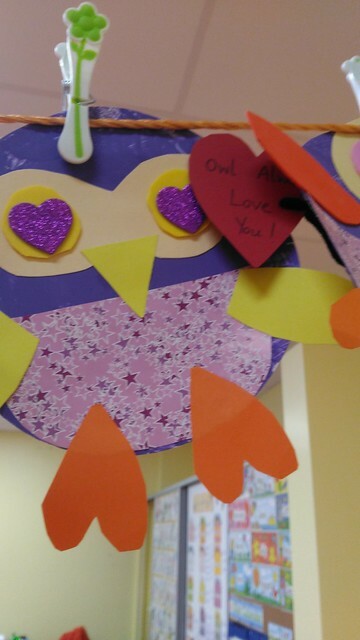 They made cute Valentines owls saying 'Owl Always love you' as a gift for their families for Valentines day. 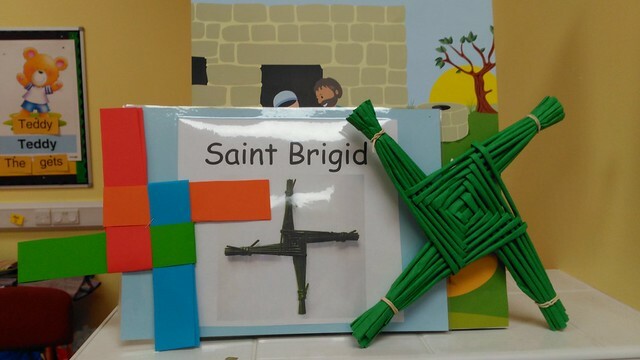 Congratulations to Grace in 3rd class who is a semi-finalist in this year's Doodle4Google competition. Her doodle will now go forward for judging to be included in this year's final of the competition.